“As a musician, you must be super versatile to succeed as an independent,” says Cheri Sykes 93G. 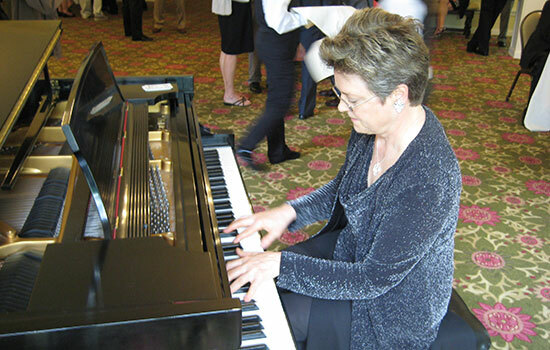 With a master’s degree in sacred music from Emory, Sykes not only leads music at a church – she’s also Prairie Home Companion's Garrison Keillor’s on-call pianist, the driving force behind Wild Honey and the Locusts jazz group, and is helping write a Popular Styles Exam Syllabus for the Minnesota Music Teachers’ Association (MMTA). 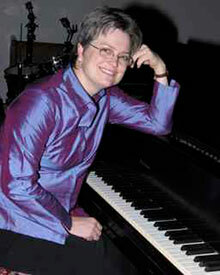 Editor's Note: In addition to her other roles, her Sykes Keyboard Studio offers instruction in piano and guitar. She is also an in-demand entertainer for weddings and other celebrations. For more information, please visit here.